The wahoo bombs (non-spinner jets) come pre-rigged ready to go (as shown in the picture). 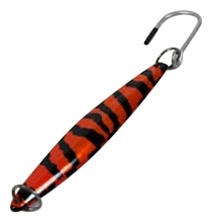 All other trolling lures come unrigged. Let us know if you want us to rig them. 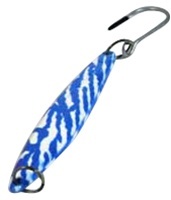 If you are looking for some excellent wahoo lures - take a look at the Wahoo Bombs and the Sea Strike Irons (Chrome or Gold). 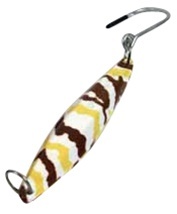 A great choice for any offshore trolling lure or as a replacement on a plug bait. 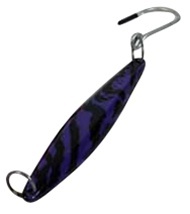 The forged blade point easily penetrates the tough jaws.